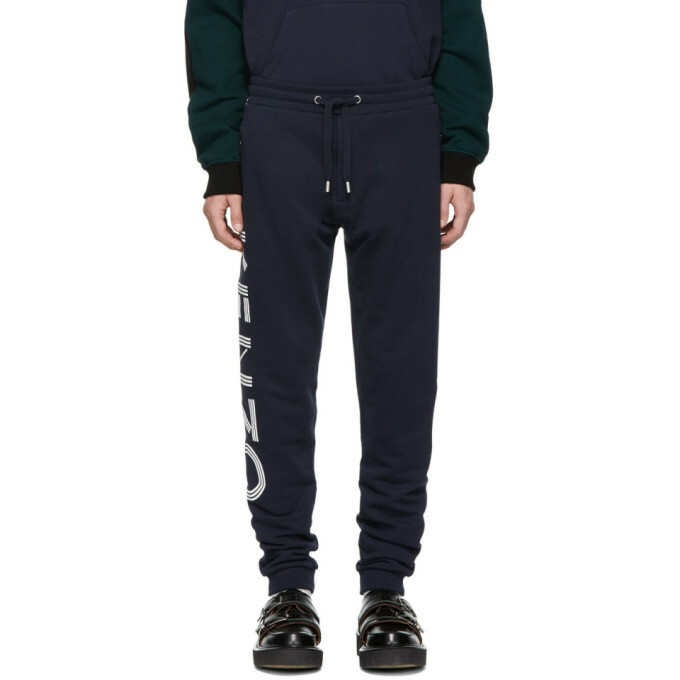 Slim-fit French terry lounge pants in ‘ink’ navy. Mid-rise. Drawstring at elasticized waistband. Four-pocket styling. Logo bonded in white at leg. Rib knit cuffs. Tonal stitching.